Danny Kent is confident he will be allowed to fight for a maiden Grand Prix victory in tomorrow’s Japanese Moto3 clash after he stormed to a career first pole position at the Twin Ring Motegi earlier. The 18-year-old clocked a best time of 1.58.371 on his final flying lap to finish ahead of title rivals Maverick Vinales and Red Bull KTM team-mate Sandro Cortese. German Cortese heads into tomorrow’s 20-lap race with a commanding 51-point lead in the points over FTR-Honda rider Vinales and Kent said that big advantage is unlikely to see team orders come into play. 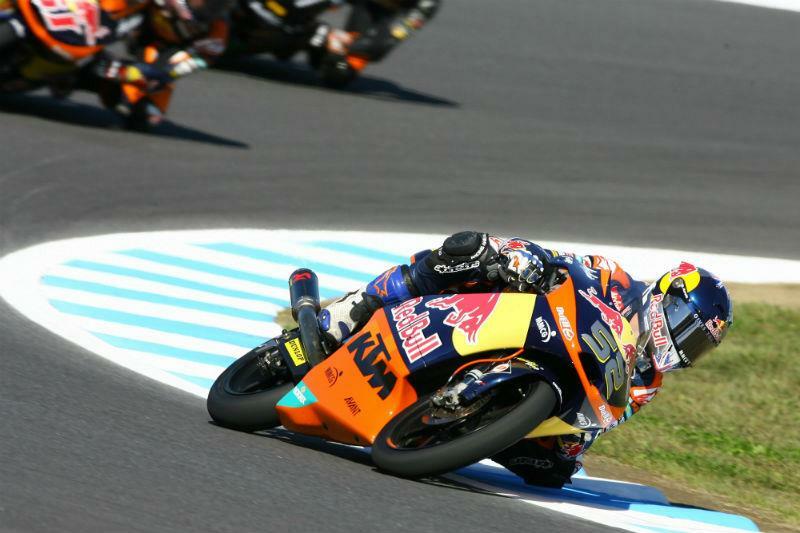 Kent, who will move to the Tech 3 Racing Moto2 squad in 2013, told MCN: “Sandro has got a really good lead in the championship, so I think if he can be consistently in the points the title will be his. Kent was just relieved to register his first pole position after qualifying in second position in three races this season. Twice he was pipped for pole position by Cortese right at the end of qualifying in Assen and the Sachsenring and said: “It was looking like a repeat of Assen and the Sachsenring when I was denied right at the end but on the last lap Maverick was a really good reference in front of me and I got in a really good time.